Before you start cleaning, be sure to obtain the appropriate cleaning supplies. The first cleaner that you’ll use is laundry detergent containing bleach as one of its ingredients. If mildew has formed on the siding, the bleach will help remove it over time. The second cleaning item that you’ll need is a high-pressure water hose. This supply will be further explained in the next step. Other recommended cleaning items include a brush for deep crevices, protective eyewear, a hat, and a jacket in case you are cleaning your garage siding in chilly weather. If you can, be sure to choose a pleasant day to work outdoors, as the task may take some time. If you decide to use a pressure washer, be mindful of its forcefulness. Use a low setting to avoid any damage to your siding, which can result from water passing through to the underside. Spraying the water at an angle is recommended so that the chances of water leaking through any gaps is limited. By doing so beforehand, you can increase the chances of a better result when it comes to scrubbing and cleaning. Once you scrub the surface, it is important to rinse the siding before the solution dries out and leaves marks. Bleach is one of the most helpful cleaning supplies when it comes to getting rid of mildew on your aluminum siding. Also, consider vinegar, as it is an eco-friendly alternative for cleaning. If you are not sure if the buildup on your siding is mildew or dirt, just apply a small amount of bleach on the surface’s area. If it remains a dark color, it is dirt. However, if the color gets lighter, then it is mildew. When cleaning your garage or siding, start from the top. Use a soft brush so that you do not leave any marks. Rinse the areas that you clean immediately after you scrub them, then move downwards. 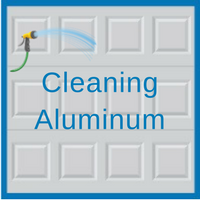 Contact our garage experts at Blue Sky Builders today if you are planning on cleaning your aluminum siding or garage. Visit us online at www.blueskybuilders.com, or call us at 630-852-8485 for more information. 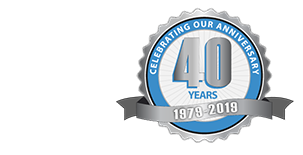 Our garage specialists will be happy to help provide assistance to our clients with their garage maintenance needs.